If you’re looking to improve the strength and appearance of your back muscles, it’s important to incorporate targeted back workouts into your weekly routine. Unfortunately, back muscles are often overlooked when it comes to workout routines. The muscles in your back actually have greater strength potential than the muscles in your chest. Many strength trainers tend to focus on “show muscles” such as the biceps or chest. But it’s important to take the time to strengthen all of your muscle groups to ensure good posture. If one muscle group is disproportionately stronger than another, you can even cause yourself an injury. As with any workout regimen, effectively strengthening your back with targeted back workouts will take discipline. In order to see results, you’ll want to complete the workouts about twice a week. The largest muscles of your back are quite strong, and you might find that you can comfortably lift more weight than you thought you’d be capable of. While you always need to be cautious while exercising, most back workouts are performed in relatively safe and stable positions. It’s important not to add too much weight too quickly though, as that can easily lead to an injury and set you back on all of your workouts. Many athletes find themselves too focused on the weight and not on the muscle the workout is supposed to be targeting. This is why you often hear the saying, “focus on the muscle, not the movement,” in certain athletic circles. However, it’s not advisable to take to this mindset. You should be focused on your form and the movement throughout every repetition. Focusing on this will allow you to feel the muscle working from your starting point and throughout the entire movement until you are back at the start. 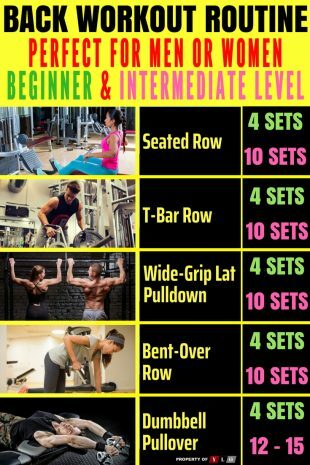 As the repetitions build, you’ll start to feel the blood flow to the muscle increase. You should be aiming for a weight that allows you to complete about 10-12 reps with good form and a full range of motion. This is the safest and most effective way to gain muscle. There’s no need to get caught up in how much weight you are moving as you can gain a considerable amount of function muscle with less weight than you think you need. So you’ve committed to adding a back routine to your weekly workout schedule – but do you know where to start? Experts recommend having a repertoire of five different exercises for targeted back workouts. You should be aiming for two that include pull-down/pull-up movements, two that incorporate rowing movements, and one that specifically targets your lower back. After warming up, it’s best to start off with something from the pull-down/pull-up category since these exercises warm up your shoulder muscles and stretch out your lower back. The lower back exercise should be saved for the end of your session. Rows and deadlifts demand stability and support from your lower back muscles to be completed correctly. If you exhaust those muscles prior to performing something like a deadlift, you’re opening yourself up to the possibility of an injury. The upper back is the most neglected area when it comes to back workouts. Many people focus on the lats because of appearance, or on the lower back to decrease pain and ward off injury. But the upper back is important too. Good posture and overall strength depend on a healthy upper back. If the upper back is weak, you can find yourself slouching forward and developing bad posture. Bad posture leads to muscle pain and even injury. If you find yourself feeling as though you’re being pulled forward by deadlifts and rows, there’s a good chance you need to focus on your upper back a bit more. Look to exercises that target posterior delts, rhomboids, and the lower trapezius to build upper back strength. For example, the face pull is an excellent exercise for building upper back strength. Face pulls can be performed on both chest and back days to ensure a balance between the muscles on the front and back of your body. This is an effective workout that should be perfect for beginner and intermediate lifters. As always, it’s important to pick a weight that will allow you to complete 10-12 reps with good form and a full range of movement. Take each rep slow and focus on the movement of your muscles throughout the entire exercise. While we’ve included written instructions for the exercises below, we recommend watching videos of all the exercises before you try them out to make sure you know proper technique and avoid injury. Even better, consult a trainer to guide you through them the first few times if you can! This routine builds on the fundamentals of the first. It includes slightly more advanced exercises, including unilateral movements and a focus on compound movements. You don’t need to go to the gym to get an effective workout. You can get the job done from your own home with nothing more than a pair of dumbbells and your body weight. Home workouts can be effective alternatives when you don’t have time for the gym or when you feel like doing something a little different. We can’t stress enough how important it is to do all of these routines with proper form. 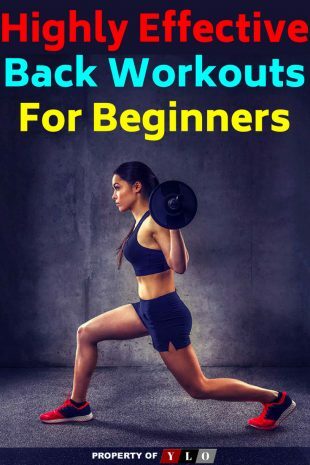 It’s worth investing a bit of extra time into your first few back workouts to make sure you’re completing all the exercises correctly and avoiding possible injuries. You should begin every workout with a warmup. 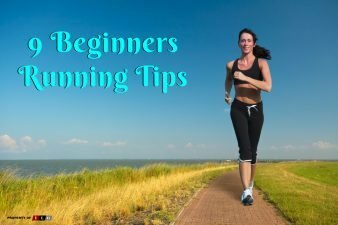 It’s recommended to spend at least 10 minutes doing light cardio (like running in place or jumping jacks) before beginning your workout. This increases blood flow and helps to prevent injury. Seated Row: Take a V-grip cable attachment and fasten it to a low cable pulley. Once you are seated, hold the handle at arm’s length in front of you with your palms facing each other. Set the stack to a slightly lighter weight than you think you can handle. Then, pull the handle towards your midline until it almost touches your stomach while bringing your elbows behind you. You want to focus on bringing your scapula together and making sure your back muscles are doing the work instead of your arms. Hold the top of the rep for two seconds and squeeze the muscles. Then, slowly return the weight until your arms are fully extended and repeat. T-Bar Row: Load one end of an Olympic barbell with 25-pound plates. You should use these smaller plates because the size allows you to achieve a better stretch than you would with a larger, 45-pound weight. Take a V-grip handle and slide it under the barrel of the weighted end of the barbell (this is where you would normally place a collar). While keeping your back as straight as possible, bend at the waist until your body is almost parallel to the ground. If your gym has a T-Bar bench, your chest will make contact with the pads of the station. Now, take hold of the V-grip handles on the T-Bar. Engage your lats, and without recruiting your traps, pull the bar as close to your sternum as you can while bringing your elbows directly behind you. Squeeze and hold this position for a moment before lowering the weight to the starting position. Dumbbell Pullover: Lay perpendicularly across a flat bench with your lower back on the bench and feet flat on the floor with legs bent at 90 degrees. Hold a dumbbell at arm’s length overhead. While keeping a slight bend in your elbows, lower the weight behind your head as far as you can to stretch out your lats. You’ll want to think about leading with your elbows rather than your hands as you bring the weight back up overhead and above your chest. Move slowly and concentrate on the movement – this exercise can be a bit tricky to get the hang of. Bent-Over Row: Hold a barbell in front of you with an overhand grip and arms extended. Slightly bend your knees and hinge at the waist so that your torso come forward, nearly parallel to the floor. Then, contract your core and row the bar up to your belly button. Your back should remain flat and your gaze should be aimed forward throughout the duration of the movement. Now, slowly lower the weight until your arms are again fully extended. Since this exercise places a lot of stress on your lower back, you might find it helpful to use a weight belt for support. Inverted Row: Set the bar of a Smith machine or place a barbell in a power rack at waist-height. Lie on the floor underneath the bar and grasp it with an overhand shoulder-width grip. Your body should form a straight line and your weight should only be supported by your heels and your arms. Now, raise your chest up to the bar by pulling yourself up and driving your elbows behind you. If you’d like to increase the difficulty, you can perform this move with your feet elevated on a bench or by using a suspension trainer instead of a barbell. Reverse Grip Pulldown: Attach a wide-grip bar to the high pulley of a lat pulldown machine. Sit in the chair and set the rollers so they press into your thighs. Then, grasp the bar with a relatively narrow underhand grip so your palms are facing you. Without jerking the bar, slowly bring it down to chest level. Squeeze the lats at peak contraction and allow the bar to return under control until you feel a strong stretch in your lats and biceps. Close Grip Pulldown: Attach a V-handle to a high cable pulley and sit in front of it so your arms are extended overhead when you hold the handle. Your knees should be placed under the pad. While keeping your upper body erect and your chest up, pull the handle down until it touches your chest. Hold this position for a moment before returning to the starting position. One Arm Dumbbell Row: Grasp a dumbbell with one hand and brace your other hand on a sturdy object such as a bench or dumbbell rack. Bend over so that your torso is almost parallel to the floor. Let the dumbbell hang at arm’s length in front of you. Keeping your elbow close to your body, bring the dumbbell up and back toward your hip. Once you’ve pulled the weight in as far as you can, squeeze and hold it before returning to the starting position. Hyperextension: Hyperextension exercises are great for relieving back pain. You’ll want to position yourself on the hyperextension bench so that your legs are locked in but your upper body is free. Hold a weight across your chest and bend at the waist while keeping your back as straight as possible. After you’ve bent over as far as you can, concentrate on activating the muscles in your lower back to return to the starting position. Back workouts should be a part of everyone’s workout routine. Having a strong routine not only helps you look great but strengthens some of the most important muscles in your body. Adding these exercises into your weekly routine can help you feel better and even help you perform other exercises more effectively since you’ll improve your overall strength in the process.